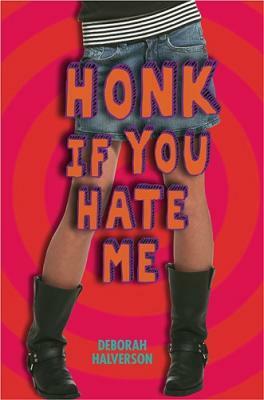 My debut novel Honk If You Hate Me (Delacorte/Random House, ages 12 and up) has been honored with the Gayle McCandliss Literary Award by the City of Chula Vista’s Cultural Arts Commission as part of their Gayle McCandliss Art Awards program. The award, named in memory of the late Chula Vista mayor, was presented at the July 5, 2007, Chula Vista City Council meeting. First novel and already winning prizes!!! Can’t wait to read the book . .. when is the “book signing party”? Congratulations! What a wonderful honor!